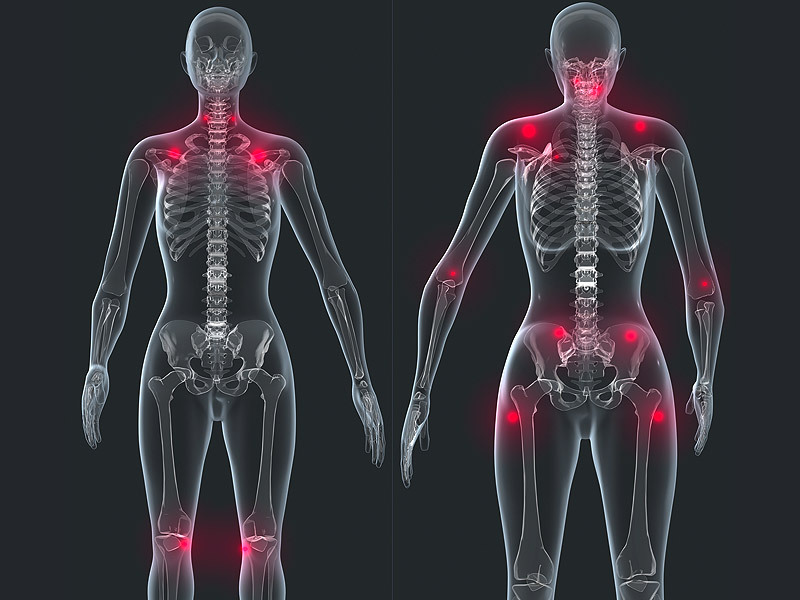 Fibromyalgia is a condition characterized by pain in the muscles, joints and soft tissues. People suffering from Fibromyalgia experience fatigue, depression, insomnia, morning stiffness, anxiety, irritable bowel syndrome, numbness or tingling sensation in arms and feet, painful menstrual cramps and headaches. It is often misunderstood and misdiagnosed since it has no known lab tests. The doctors therefore rely on the patients’ words to determine whether they may be suffering from Fibromyalgia or not. Fibromyalgia is more common in women than men. Widespread pain. The pain affects both sides of the body from body to feet over a long period of time, usually three months or more. Fatigue. Constant feeling of tiredness even after good night sleep is among the complaints of patients. Normal activities such as cooking, ironing or folding clothes require extra effort. Sleeping problems. People with Fibromyalgia have trouble sleeping. Their sleep is constantly interrupted by pains and continuous brain activities that make it hard for them to relax during sleep. Mood disorders. Patients have to deal with pain and fatigue all the time, which is very stressful. They eventually become withdrawn, which may lead to severe bouts of depression. Morning stiffness. People with Fibromyalgia experience what is known as morning stiffness. Their muscles and joints become stiff and the stiffness may last up to 20minutes (sometimes longer before it wears off). Many of them also suffer from headaches or migraines regularly. This is attributed to upper back and neck pains. Painful menstrual cramps in women. Irritable bowel syndrome. Fibromyalgia patients experience acid reflux, belly pains, diarrhea and constipation. Numbness and tingling sensation. Sources of these sensations are unclear, however they occur randomly. Problems during urine dispensation. The feeling to urinate is frequent and the process is painful. Leaking bladder is also associated with Fibromyalgia. Fibromyalgia has been known to run in families. Therefore, genetic makeup or mutations increase the likelihood of a person contracting Fibromyalgia. Emotional or physical trauma. Physical trauma such as accidents and psychological stress trigger and aggravate Fibromyalgia.